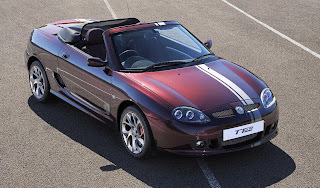 MG has axed the TF roadster after 15 years. Production of the TF roadster at Longbridge, West Midlands has been erratic since it resumed in 2008. But the final production cars might have been shipped to dealers. Initially sold as the MGF, the two-door was launched in 1995, rivalling the Mazda MX-5. With Rover-developed Hydragas suspension giving secure handling, the soft-top conquered sales in its class.